Join us at the 2019 General Conference of the European Consortium for Political Research in Wrocław, Poland. Due to the sensitive nature of the associated public goods (food safety, health, environmental concerns), policy makers have tended to treat the food and agriculture sector with care. But does this sensitivity hinder policy reform, or does it stimulate policy innovation to address novel challenges and concerns? The section uses the concept of post-exceptionalism as a lens to analyse recent developments and trends in food policy and governance. In the past, agriculture was considered a special economic domain in need of special care. Public policies were aimed to provide affordable food for all while farmers could obtain a steady and sufficient income. The strategic meaning of food, weather conditions and the in-elasticity of demand for agricultural products meant that farming was considered as an exceptional economic sector with exceptionalist industry support and trade policies. However, since the mid-1980s the exceptional position has increasingly come under scrutiny. The externality effects of the farm policies, such as environmental damage and trade distortions, made more people argue that agriculture should be considered an industry operating in a similar fashion to those of other industries. The puzzle we explore in this section is how post-exceptionalism in agriculture and food policy and politics takes shape and how this phenomenon can the approached analytically and theoretically. The decompartmentalisation, interlinkage with other policy domains, politicisation, internationalisation and reframing of policy issues associated with post-exceptionalism challenge standard analytical and theoretical approaches to studying food and agricultural policy and politics. Moreover, transboundary food-system threats and structural changes in economic systems, such as natural disasters, transboundary diseases, increased migration and urbanisation, facilitate transformations towards more flexible, complex, internationalized and contested patterns of food policy and governance and further substantiate the need for new analytical approaches. 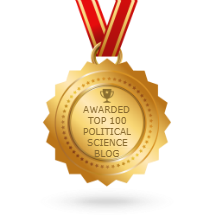 This section welcomes panel proposals that study the nature and effects of recent new trends in food and agricultural policies and politics and explore and develop innovative analytical approaches. 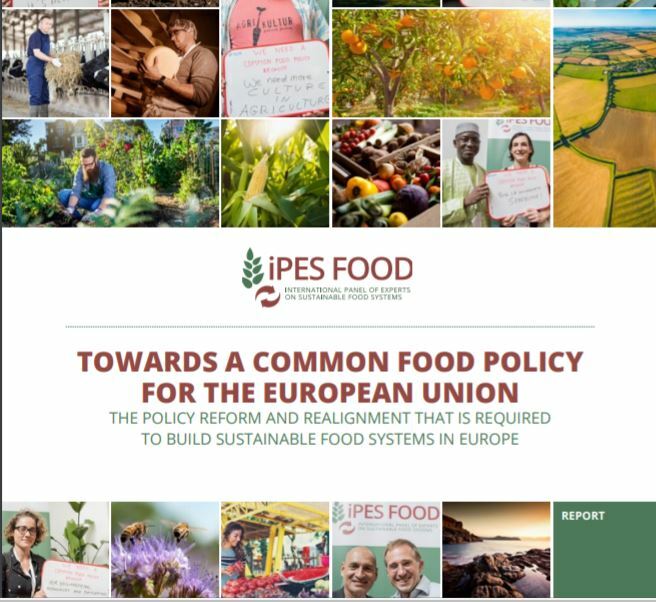 We are especially interested in the mechanisms that explain how the new food and agricultural policies are shaped and interlink with other policy domains. Interface, a journal about social movements, has published a new review of Ingeborg Gaarde’s book Peasants negotiating a global policy space: La Vía Campesina in the Committee on World Food Security (Routledge 2017). The review was written by Maria Vasile. I have copied a few paragraphs below, but encourage you to read the entire review, the book, and the rest of the Interface issue on Social movement thinking beyond the core: theories and research in post-colonial and post-socialist societies, available here. Peasants negotiating a global policy space – La Via Campesina in the Committee on World Food Security by Ingeborg Gaarde is an important contribution to research exploring how social movements launch into different levels of activism, engaging in global politics, while continuing to partake in local and national struggles. By looking at the international peasant movement La Vía Campesina, the author challenges dominant theories of social movement institutionalisation, predicting that social movements’ access to institutions and internationalisation results in processes of centralisation, bureaucratisation, de-radicalisation and cooptation (e.g. Tarrow 1998; Tilly 2004). 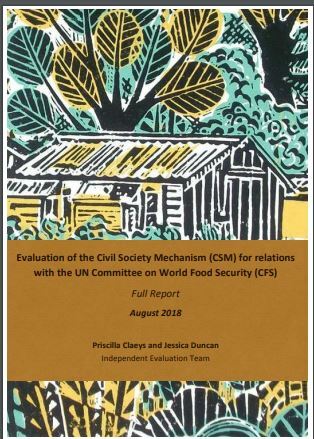 More particularly, Gaarde analyses how La Vía Campesina creates a space for smallscale producers and other rural people to participate in UN global policy-making processes related to food and nutrition security, namely the 2009 reformed Committee on World Food Security (CFS). By analysing how the members of La Vía Campesina organise their participation in practice, she argues that the movement managed to develop complementary local-global strategies, and that internationalisation allowed for greater consolidation both in terms of cross-border alliances and internal linkages. internal reflexivity and strengthening of the movement, as well as for advocating for enhanced democratic control in governance arenas. Above all, such participation is beneficial for improving the general quality of discussions and achievements in the policy space. Gaarde’s study is also a methodology lesson on how to analyse social movements, as she reports on innovative research methods, discusses the difficulty of getting close to rural activists and the importance of trust building. Based on her experience, the author invites us to further reflect on potential and challenges of scholar-activist relations for producing knowledge in favour of social movements’ struggles. Good new, the special issue has been made Open Access and is now available free of charge through the support of the USDA’s National Institute of Food and Agriculture.